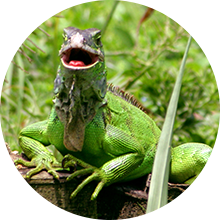 This Passover surround yourself in the natural wonder of Costa Rica. Join us at an entirely Kosher Volcano Resort to experience a unique Passover vacation like no other! Enjoy delicious Glatt Kosher for Passover dining under strict Kosher supervision, Seder nights, on-site synagogue, “daf yomi” and multiple “shiurim” plus exciting guided excursions and daily activities (all included in your package) as you discover the wonders and beauty of Costa Rica. Since 1994 Costa Rica Kosher Adventures has developed and run unique and custom group Passover programs for thousands of satisfied participants. Again this year, we are celebrating Passover in Costa Rica – one of the world’s most sought-after travel destinations. Unlike most Passover programs, which take place at a high-rise hotel and are centered on the food service, our program offers the perfect place to experience Costa Rica and a unique Passover program amidst inspiring natural beauty. With our years of experience as the leader in kosher travel to Costa Rica be assured that a Passover program with CRKA will provide memories which will last a lifetime! 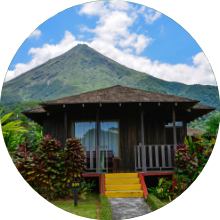 New for 2019: The Hotel Lomas del Volcán is located in stunning Arenal Volcano, this is the Adventure Capital of Costa Rica! 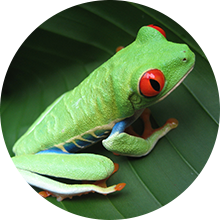 The hotel will be exclusive to the Costa Rica Kosher Adventures group. Rabbi Goldberg is the Rabbi Emeritus of the Young Israel of Southfield and is a sought after speaker for communities around the world. The rabbi is a musmach of the Rav, Harav Yosef Dov Halevi Soloveichik, and a graduate of Yeshiva University. Rabbi Goldberg is also well known for founding Kids Kicking Cancer which is now lowering the pain of over 3,000 very sick children a year in four countries. He is the only person to ever appear on the cover of Ami magazine and in People magazine in the same year! Rabbi G., as he is referred to by the children, has received the nation’s highest award in community public health from the Robert Wood Johnson Foundation and serves as a clinical assistant professor in pediatrics at Wayne State School of Medicine. His work in lowering stress of children and adults has been featured on Good Morning America, CNN Top Ten Heroes, the Early Show, the Today Show and hundreds of other major media outlets. Freedom from stress and learning simple tools that will allow you to live longer and better are taught by Rabbi Goldberg, free for all of our guests, throughout the holiday. For any specific kashrus questions or concerns please email Rabbi Elimelech Goldberg. Unique to CRKA is our ability to prepare delicious Glatt Kosher for Passover cuisine in exotic destinations off the beaten path under strict supervision. Our master chefs specialize in nutritious, well-balanced and beautifully prepared and presented meals, prepared in separate meat and dairy kitchens. We take full advantage of our natural surroundings; in Costa Rica our menus are reflective of the local cuisine, including using a large variety of the area’s world renowned fresh fruits and vegetables. All food and standards for the program will be Glatt Kosher LePesach (Gebrochts): all wine is Mevushal, Shmura Matza & Cholov Yisroel products available upon request. Supervision will be under the auspices of the local Centro Israelita and Chief Rabbi of Costa Rica, Rabbi Yitzchak Prober. All delicious meals, Seders & snacks under strict Glatt Kosher for Passover supervision. On-site synagogue for daily Minyanim. Suitable eco-oriented activities & speakers during the holiday. 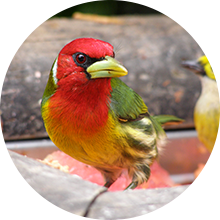 Guided bird watching & wildlife walks. 4 days of guided adventures during Chol Hamoed. Inspiring, life changing lectures and experiences. Full use of hotel amenities including pools, beach, childrens playground, pingpong, wireless internet access, hair dryer, plus more! Price is per room - maximum of 4 persons per room - no exceptions. INCLUDES all tips, taxes and service charges. Cribs & Extra cots available, pricing in chart. Pre-night program:: At San Jose Corobici Crowne Plaza Hotel, pricing in chart. Price includes: 2 nights Seder; resort lodging; use of resort amenities; holiday eco-programming; 3 days guided adventures (during Chol Hamoed - included for all early bookings that are paid prior to November 26, 2018); Kids’ Camp (during Shabbat and festival days). Handicap rooms available upon request.